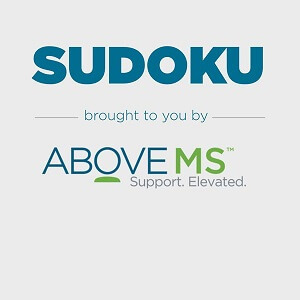 You are cur­rent­ly in the games section of Above MS. It's been shown that fre­quent brain ex­er­ci­ses may be help­ful for your men­tal health. Talk to your doctor if you ex­pe­ri­en­ce any prob­lems with your memory or cognition. Use your math and logic skills to solve various number puzzles. Biogen is not re­spon­sib­le for, nor does it en­dor­se, the con­tent on this page. All tra­de­marks are the pro­per­ty of their res­pec­ti­ve hol­ders.